We are starting an archive of materials which represent Liverpool’s connection with literature and the arts. Starting with Daniel Defoe we’ll be exploring the wealth of materials up to the present day, including novels, poetry, art, theatre, film and television. Not to mention music! Here, Denis reflects back on his youthful encounter with Casabianca, the poem with perhaps the most famous opening of all, “The boy stood on the burning deck…” Felicia Dorothea Hemans who wrote the poem was born in Dale Street, Liverpool. Dormer High School in Warwickshire, was, what might be called, a kitchen-sink school. It was a Roman Catholic school that, mainly, served the offspring of the Irish who moved from Cork in the early 1950s, when the car manufacturer, Fords, closed down the factory there and moved it to Leamington Spa. Even though Dormer was a typical secondary modern and most of the pupils were destined for Flavels, Fords, Lockheeds or any of the other factories that provided ‘Jobs-For-Life’, the ethos of erudio pro erudio was unspoken but dominated. If we asked a teacher what use a certain topic would be for a job, we would, inevitably be told, ‘none’. The library shelves contained modern as well as classical literature (some, like Anthony Burgess’s A Clockwork Orange, would horrify Educationalist of today) and in our English classes we would be introduced to some of the finest poetry ever written. Mainly, I recall only the Romantics, such as Coleridge, Byron , Wordsworth or Shelly. But a poem that stuck in my mind was Casabianca, written by Felicia Dorothea Hemans. Casabianca was the name given to a twelve year old boy; the son of a ship’s officer on board L’Orient , a French ship, destroyed by Admiral Nelson in 1798. It was said that the boy remained in his post, even though the ship was being destroyed, hence one of the most famous opening lines of a poem: ‘The boy stood on the burning deck’. 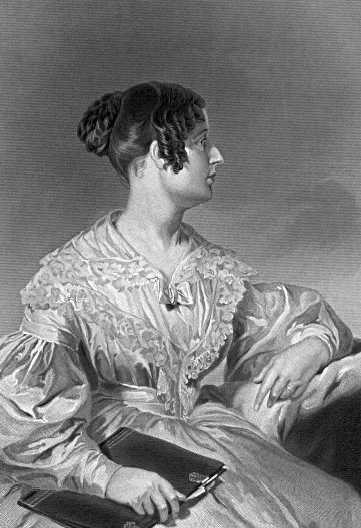 The author, Felicia Hemans (nee Browne) was born in Dale Street, Liverpool, in 1793 – although she later moved to Flintshire, in Wales. Her first collection of poetry was published in Liverpool when she was only 14 years old, catching the attention of no less a figure than Percy Bysshe Shelley, who she later felt to be ‘a dangerous flatterer’ and she put an end to their correspondence. During her life Hemans sold more volumes of poetry than any other poet, except Byron. Hemans life was one of a struggling bourgeois family. The French Revolution had destroyed many businesses for the merchants of England. But the wars against Napoleon created a strong idea of nationalism, evoked in the pride for England ‘ruling the waves’. And even though Napoleon ‘s forces fell to Russia in 1812, Britain took the credit for the defeat. Hemans, married to a naval captain; a marriage that produced five children in as many years, effectively ended before the birth of Charles, the youngest, was so popular at the time, that she could comfortably live off the earnings from her poetry, whilst raising her family. What Hemans does here is create a sense. She doesn’t ‘tell’ the reader what they should be feeling- this is not a story. She uses language to great effect. She ensures that each word is measured precisely, as if to contain the emotion of the reader. As each line is measured (classic ballad style) it is as if the breath of the enemy and the bravery are things that can be measured, like height and weight. In these lines Casabianca is not a boy, he is the acme of human virtuousness. These are the traits that Victorian England wanted to promote amongst the population (particularly the middle-classes). And whilst the reasons for this may well be seen to be reactionary and part of the propaganda of The Empire, the poem should not be dismissed so easily (like all great art, it is more than just a product of its time). The virtues the poem illustrates recognise that this is what an individual is capable of. As with Tennyson, Hemans preoccupation seems to be less than putting the ‘Great’ in Britain and more to do with illustrating what is great about humanity: that it can stand above the worst that the world can inflict on it. it is life, and the struggle to live, that is deserving of our regard. I was not familiar with the poem, but the first and last lines have great power. I was immediately struck with the feeling that maybe we are all standing on the deck and that at some time we have all lost our “young faithful heart.” Reading this, I got it back for a moment. Thanks Denis for picking this poem.